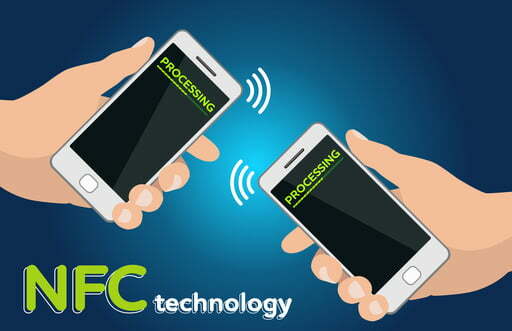 Near Field Communication (NFC) is a useful technology for transferring data between two devices. Whatever you would like to send, be it files, photos, videos or even payments, NFC will help you do it. Most of us wonder how it works and how to use it. We will guide you through the vital things you should know about using NFC. Actually, the name of the technology sort of tells you how it works. There should be two devices that support NFC and are located close enough to each other to enable communication between them. Connection is established by means of radio frequencies. In terms of mobile technology, NFC is a tool for sharing files and various types of data. Using NFC and Android Beam, devices can exchange files very fast. 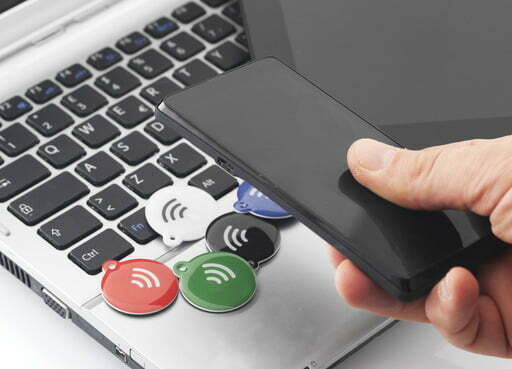 Besides, the availability of NFC on Android devices lets them read or write to programmable NFC tags. Does your device have NFC? Not every device, phone or tablet, has NFC. Does your device have it? How can you find out whether your phone has NFC? One solution is to check for special icons or marks on the device itself. For instance, on some Samsung phones you will notice the “Near Field Communication” print on the battery set. Though this only applies to older models, as most newer phones do not have a detachable back. Some Sony Xperia devices have the N-mark on the back, which indicates that the handset is NFC-compatible. The N mark also indicates where exactly the NFC chip is placed in the device. Alternatively, you can just check your device’s Settings > More menu, or tap the search field and type in “NFC”. If your smartphone has NFC, it needs to be activated to use. Go to Settings > More and turn on NFC. Keep in mind that NFC capabilities of your device depend on whether Android Beam is turned on, as it influences NFC’s sharing functionality. Android Beam and NFC need to be active on both devices. Both devices must not be locked or asleep. The moment both devices discover each other, the user gets a visual and sound alert about it. Keep both devices connected during the whole process of beaming. When the file is successfully transferred, you will get notified about it. Double-check that both smartphones or tablets have NFC switched on. Decide on the content you would like to share. Keep both devices’ backs next to each other. Get the sound and visual alert once both devices have discovered each other. The screen on the sender device should become smaller, then it will pop up a thumbnail with the message that says “touch to beam” at the top of the screen. The sender should tap the screen to start beaming. You will hear a sound notification when beaming starts. Once beaming completes, you will get notified about it and you will be able to open the shared files. If you want to share apps via NFC, it will not send the app’s installer. It will share a link to the app in the Google Play store, where the recipient can download the app from. The same relates to sending web pages via NFC, the recipient will get a link to the web page that will open in the default browser. When sharing a video file from YouTube via NFC it will share the link and open it in the YouTube app on the recipient’s device. The contact info shared via NFC will get automatically saved in the recipient’s phone directory. Sharing photos via NFC is a piece of cake. You need to open the image you want to share, place both devices with their backs to each other, and touch the screen when you get a hint. The recipient will get notified when the transfer is finished, then they will be able to open the image in their photo library. NFC can also be used for configuring device settings with one tap. A programmed NFC tag can be activated with just a touch. 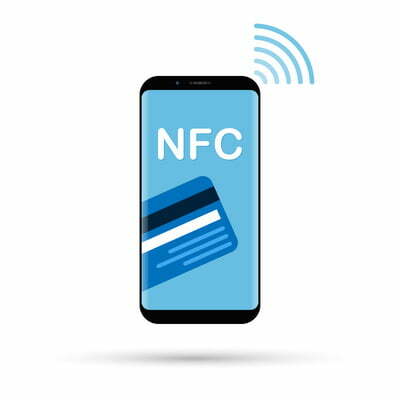 An NFC tag is an NFC chip that may be embedded into various items such as business cards, movie tickets, posters and similar, and can be read by an NFC-enabled device. The user can save various data types and sizes on an NFC tag, such as contact info, URLs, commands and settings that can be executed once contacted. You will need an NFC-reading and writing app installed to be able to read NFC tags. An NFC tag can be programmed to complete the following tasks: open a web page, turn on vibration mode, turn on Wi-Fi, turn Bluetooth on/off. In order to perform a certain command, you have to tap the back of your device against where the programmed tag is located. Manage Wi-Fi and Bluetooth settings, GPS, mobile data transfer, Airplane mode, etc. Manage alarms and a lot more. You only need to tap the “Save and Write” button to attribute your selected tasks to the NFC tag. To perform the task, just tap the back of the device where the tag is located. NFC is most often used for mobile payments, such as Samsung Pay and Google Pay. Apple Pay does not work with Android devices. First you need to sign up for one of the payment methods to be able to make payments with your phone. Samsung Pay works only with Samsung devices, while Google Pay works with all devices that have Android 4.4 or higher. When you are ready with your account, you can start paying for your purchases with Google Pay or Samsung Pay at supported retailers. 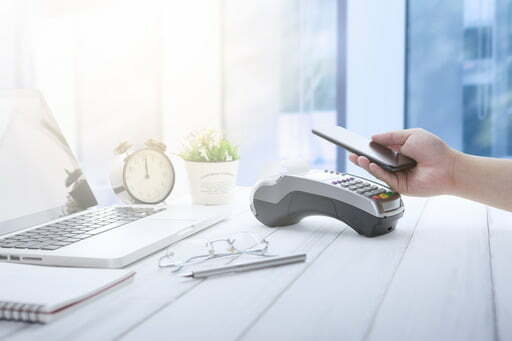 NFC needs to be activated, then you should hold your device’s back near the payment terminal, a sound alert will indicate that payment was completed. So now you know everything about NFC and what it can be used for on Android devices. Do you use NFC in your everyday life? Do you use it for sending large files, photos or making payments? Share your experience or tips with us in comments!